Running a business not only requires a lot of hard work and dedication, but also a responsibility to take care of an organization’s employees and the planet. Although prosperity and growth are usually the main focal points of any company, it’s also vital to ensure business practices adhere to basic moral principles, such as caring for the environment and doing as much as possible to avoid adding excess amounts of waste into the fragile ecosystem. Fortunately, taking care of the earth and growing profitably don’t have to be mutually exclusive. Doing the right thing is not only necessary for reasons beyond that of making money but can be a factor in creating even more growth in the future. This will be especially true as eco-friendly choices become more and more affordable and can even lead to ways in which cutting costs is actually part of the deal. materials it takes to create all those products! Promotional products tend to make up a fairly large part of a company’s environmental impact, which is why simply replacing these products with a more sustainable alternative can actually make a big difference. Using sustainable materials in lieu of traditional ones is mainly beneficial because the materials are usually made out of something that has less of a negative impact on the environment. So what are some of the choices when it comes to sustainable materials? Bamboo is a popular option for promotional products in the business world. An example of the use of bamboo in a sustainable way can be found in eco-friendly lanyards. 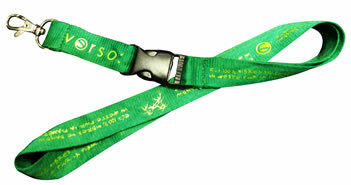 Lanyards are a common promotional product for businesses, but they are usually made out of materials, such as plastics, that are causing harm to the environment. By choosing to purchase lanyards that are made out of bamboo, a company can make a big difference in the world. Even looking at it from a purely business perspective, using promotional products that are made out of environmentally friendly materials improves a brand’s image. This can lead to more sales, and thus, higher profits. So all in all, switching to sustainable products is a win-win situation. Innovation is always what propels a business into the future and sustains it, allowing it to grow, change, and evolve so that the competition doesn’t get the upper hand. Using eco-friendly promotional products is just one type of innovation that can help a business impress customers and stay afloat amid rough waters. Luckily, many companies are now offering promotional products that are made of sustainable materials, and still hold to a high standard of quality and reliability. It’s quite easy to find promotional products of all kinds that are also good for the environment. 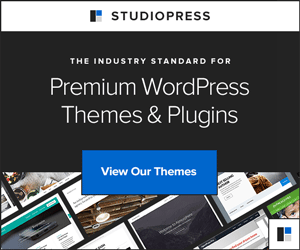 AUTHOR: Chloe Impney is a Marketing & Advertising guru for PromoLanyards.net. In the years since graduating, she has worked in London, Plymouth, Southampton and Brighton. What a way to go green!!! Green thumbs up for you!